It's a Scrappy World: 2-1 ABaC Monday at CtB with Bugaboo Stamps! 2-1 ABaC Monday at CtB with Bugaboo Stamps! It's AbaC Monday for us at Catch the Bug with Bugaboo Stamps! 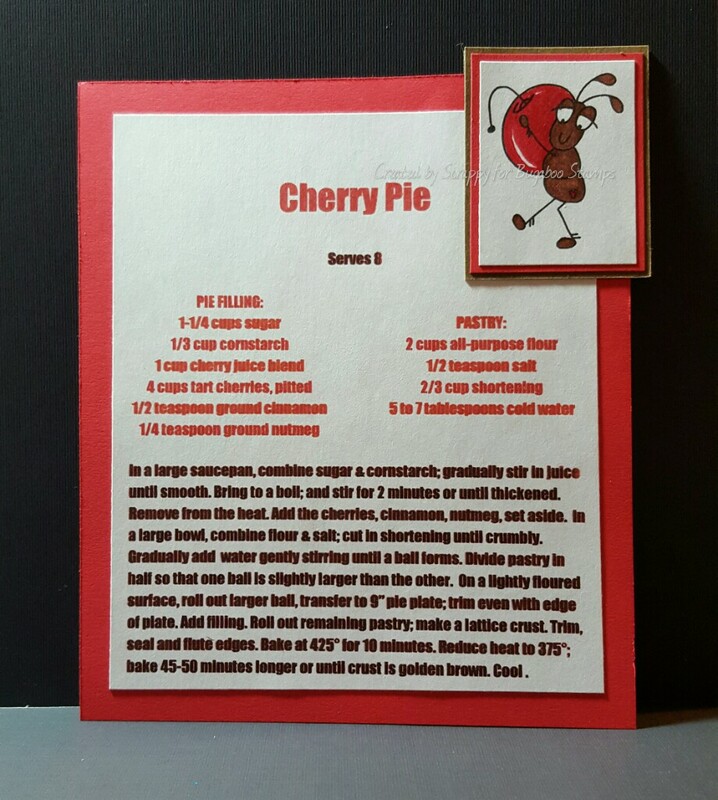 Today, I'm sharing my Recipe Card for Cherry Pie. 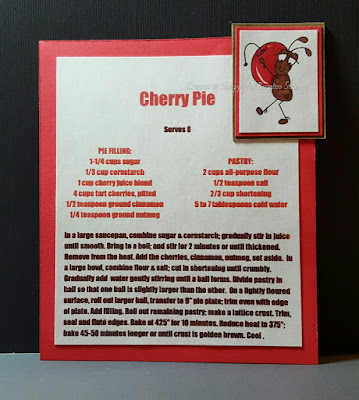 My project below features Picnic Ant - Cherry by Bugaboo Stamps. I hope y'all like it! 2-11 Oldie but Goodie Thursday !